Some dogs have allergies that cause itching. Benadryl is often recommended to be given to dogs. It can be safely administered to most but it is important to know what exactly Benadryl is, how much to give your dog, and when to know if your dog should take some. Benadryl is actually the brand name for a drug called diphenhydramine hydrochloride. Benadryl is an antihistamine medication and does not require a prescription. It comes in tablets, capsules, and liquid gels in multiple strengths or milligrams. It is sometimes combined with other medications so you will need to be sure to read the package carefully to ensure that diphenhydramine is the only drug in the product you are purchasing for your dog. As an antihistamine, Benadryl works by blocking the release of histamine and acetylcholine that the body makes in response to an allergic reaction. Benadryl dries up watery eyes, runny noses, and decreases swelling, sneezing, itching, and other symptoms of allergies. It also is often used to make a dog sleepy or help with motion sickness. When a dog is stung or bit by an insect. When a dog is bit by a venomous reptile or insect. 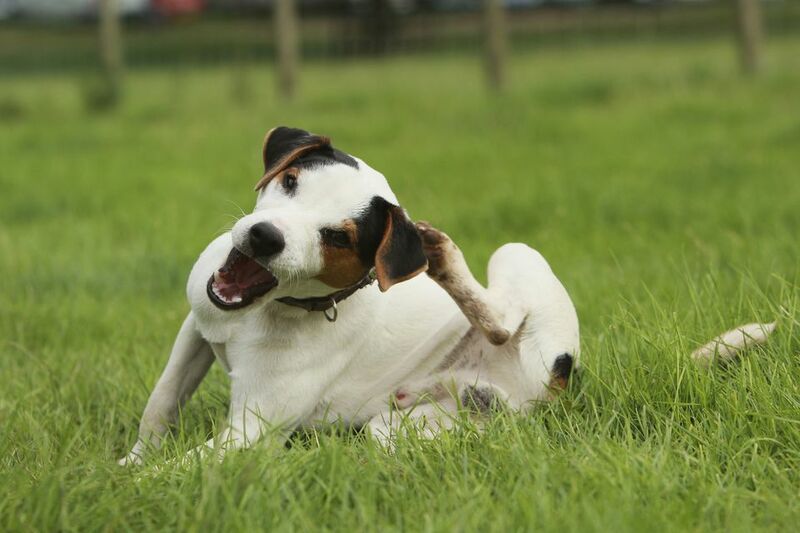 When a dog is itching or scratching from environmental or food allergies. When a dog is travelling and may experience motion sickness. When a dog is in need of something to make it a little sleepy so that it doesn't get impatient, bored, or bark when it needs to be calm and quiet. When pre-treatment of an antihistamine is needed prior to a vaccination that is known to cause an allergic reaction in that dog. Benadryl is great to keep on hand if you have a dog, even if you never plan on travelling with it or it doesn't have any known allergies. You never know if a spider will bite or a bee will sting your dog while at home and you will need to give it some Benadryl to prevent or lessen an allergic reaction. Some dogs react so severely to insects or venomous reptiles that they cannot breathe without antihistamines and immediate veterinary attention. If you can give a dog that has been bit by a snake or stung by an insect some Benadryl at home, you will increase its odds of making it to the veterinarian alive and still breathing. This is especially true for brachycephalic breeds such as English Bulldogs and Pugs that already naturally have compromised airways without the added airway constriction that an allergic reaction can cause. If you have a highly stressed or anxious dog and want to make it sleepy. Its anxiety and stress need to be addressed and treated instead of just sedating it with Benadryl. If your dog has heart disease. If your dog has high blood pressure. If your dog has glaucoma. If your dog is taking specific medications, you should discuss the safety of Benadryl with your veterinarian prior to administering it. As a sole remedy after a venomous bite. Your dog needs immediate veterinary attention. Your veterinarian is the best source of guidance and information for your dog's health. If you are considering giving your dog Benadryl then ask your vet first to ensure you don't do more harm than good. Typically dogs take 1 mg of Benadryl for each pound of body weight two to three times a day. This means a 25 pound dog will take one 25 mg Benadryl tablet up to three times a day depending on your veterinarian's recommendation. Smaller dogs may be more easily dosed using children's Benadryl liquid. Benadryl can make a dog very sleepy, cause dry mouth or urinary retention, and potentially cause some gastrointestinal upset such as diarrhea and/or vomiting. In cats, it may cause the opposite of what it's used for—called a paradoxical effect—and you may see excitement. Benadryl is historically very safe but as with anything, too much can be bad. If your pet receives too much Benadryl it may be extremely lethargic or very excited. Occasionally it may get dry mouth, have respiratory depression, seizures, go into a coma, or even be fatal if a large enough amount is administered.